More than a day of temperature below 0 degrees F. Lows going below -20 degrees (which if the online calculator is correct is around -30 degrees Celsius). Or as Frank Sinatra would say "That's life". 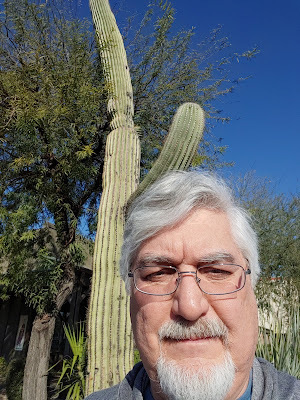 I'm taking my mind off of our visiting arctic air mass by posting a picture or two from our recent trip to the desert. Arizona has lots of old weathered men. Last month I was able to join them. We also spent time in southern CA. 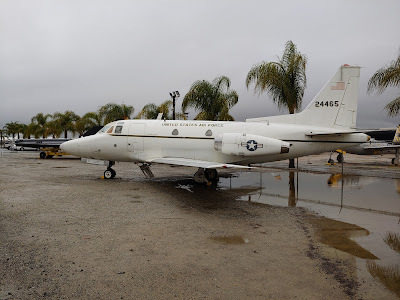 While there on a raining day we went to March AFB where they have an air museum. The rain kept us mostly inside but on the way in I was surprised to see this plane, a T-39. Not all that special of a plane but it holds a special memory for me. Over my 10 year career in the USAF I only flew once on an Air Force plane. Many, many trips on commercial aircraft. It was a T-39 flight across country to Eglin AFB FL that was my one and only Air Force flight. A great comfortable flight. Also I learned a few things at the museum. 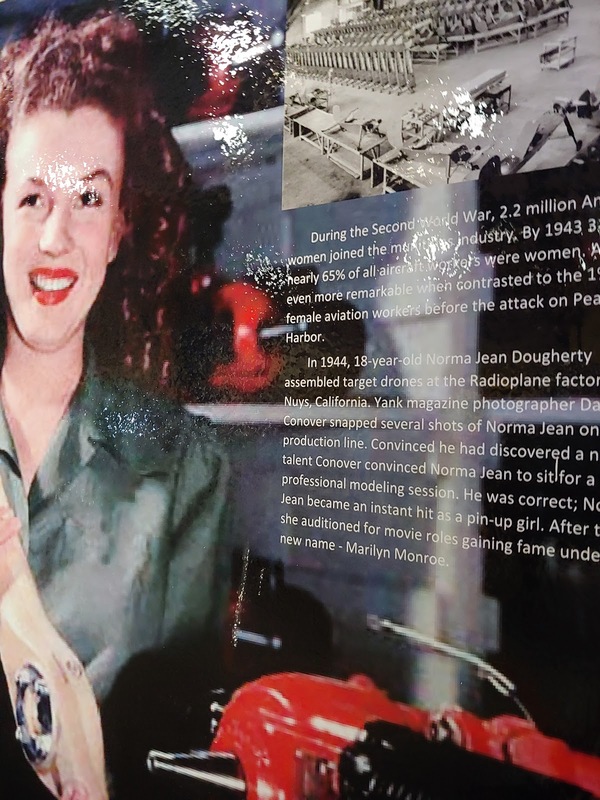 Can you guess the name of this lovely lady working for a defense contractor during WW2. You might be able to read it if you click on the picture. Not really, but I've been a blogger and I know one thing. Each time I find myself, flat on my face. It hurts nose and gives a headache. I know I'll change my tune when I'm back on top in June.